Well, these aren’t very good. 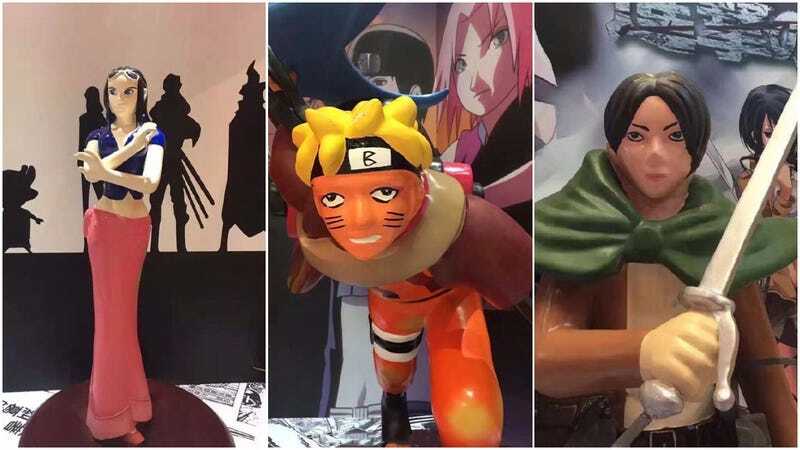 A shopping mall in Beijing recently kicked off an anime exhibition with life-sized statues of famous characters from One Piece, Naruto, and Attack on Titan. As you can see in these images via GamerSky and Toutiaoabc, the results are not so good. Smart money says these are not licensed (obviously! ), and naturally, anime fans in China aren’t exactly thrilled with the quality of the statues.